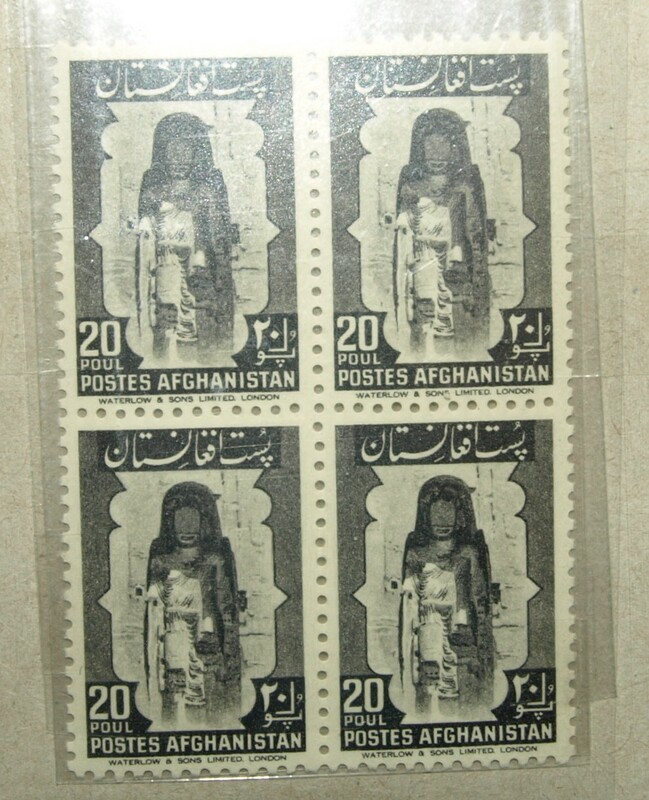 I’m fairly certain that this is not an “antiquity” of Afghanistan. However, I’ve carried it in and out of Afghanistan several times since I bought in the bazaar at Bagram Airfield in November of 2003. It’s a sort of totem. My bringer of fortune. I had it with me at Bagram, Camp Eggers, Camp Phoenix, Camp Stone and Camp Alamo. I’ll probably have Unny Fed Ex it to me when I get back to Camp Eggers. I’ve never seen another bust like it in any of the other bazaars. I’ve been to quite a few of them. I suppose it is a one of a kind. It does have that look as if it was sliced off of some larger piece. As if at one time it had a body and wasn’t just shoulder and head. I’ve flown out of Afghanistan with it several times. The Customs and Border Police have stopped me each time and asked me; “Is this old? Is it antiquity? Where did you get it?” The first time, I told them that I bought it at the bazaar at Bagram. 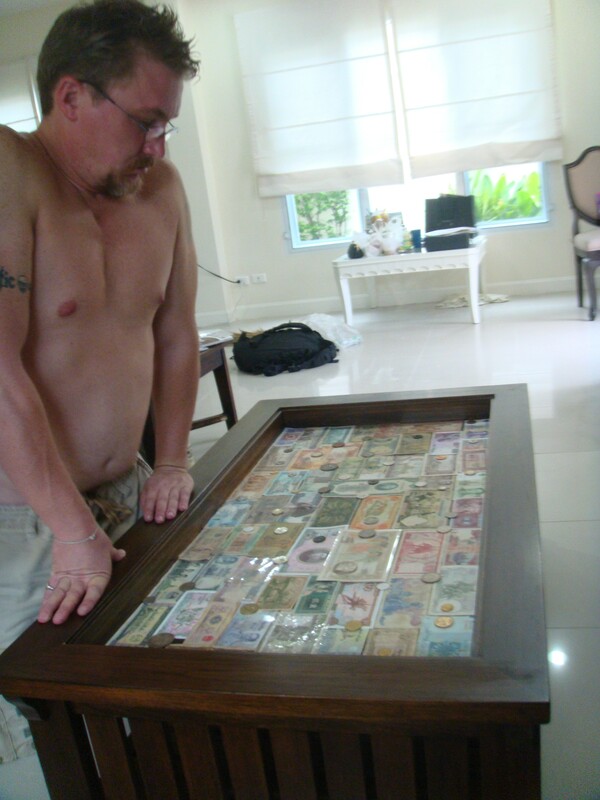 Later, I lied and told them that I purchased it in Thailand. Who knows? Perhaps I have a genuine piece of ancient art on my hands. I seriously doubt it, though. The bust has had many admirers over the years and I’ve been offered various amounts from folks to hand it over. I can’t do it. It’s the first thing that I bought in Afghanistan. If I have my way, it’ll be the last thing that I ever hold and it will accompany me to the grave. It’s been with me for nearly a decade now. Hopefully, it will be with me in life another 40 years and then it will rest with me in eternity. Unny will keep it for me while I’m in Afghanistan this time. It’s fortune will shine upon her and our endeavors in the Land of Smiles as I find new fortune back in my old haunt. 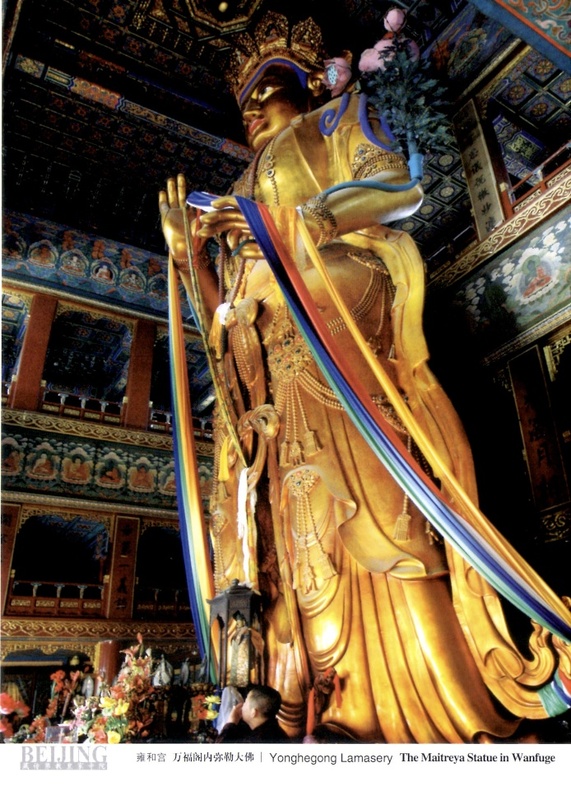 Taoist Buddha made from one solid piece of white sandalwood measuring 18 Meters above ground and 8 meters below the ground. The Yonghegong Lamasery was a fantastic Temple. One of my favorites in Beijing. The place smelled great, too. 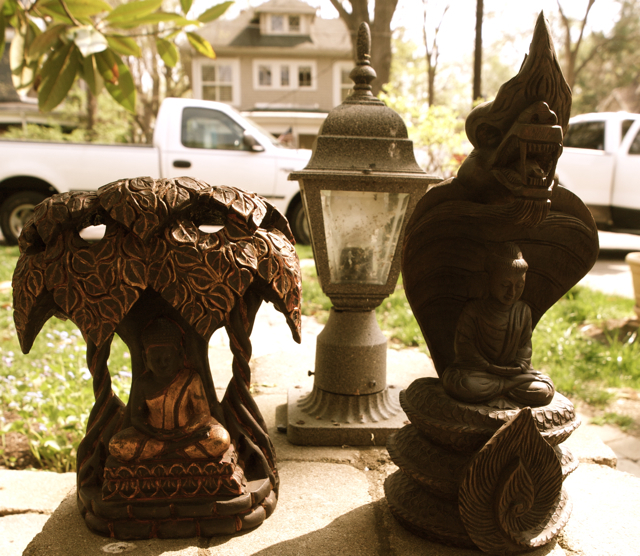 These are my favorite two Buddha statues that I’ve purchased over the years. The statue on the Left is Buddha meditating under the Bodhi Tree where he reached enlightenment or Nirvana (nibbana). The state on the Right is Buddha resting atop and being shaded/protected by Naga. Both of these are important events in the Buddhist tradition. I have not seen a duplicate statue of either one of these. I like that they are both unique and detailed. These statues tell a story. I like that. However innumerable sentient beings, I vow to save them. However inexhaustible the passions, I vow to extinguish them. However immeasurable the dharmas, I vow to master them. 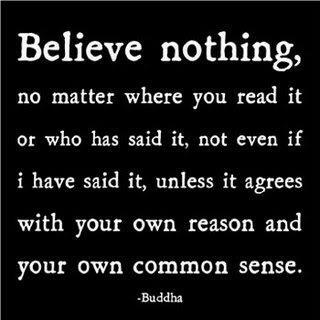 However incomparable the Buddha’s truth, I vow to attain it. This picture painted by the Mexican artist Octavio Ocampo is called “Buddha” but what is the symbolism behind the peaceful face? Isn’t it what is meant by the word “Enlightenment”? Look closer and you will see that the symbols of different religions are parts of one person. Isn’t it because all the religions are like flowers on the same tree and enlightenment means realization of the virtues which are the same in all the religions? The chin of Buddha is made of his disciples bowing in namaskar. The lower lip is like the sahasrara chakra (1000-petal from Sanskrit). Ears are represented by Shri Ganesha and Shri Kalki. There is the tree of life constituting the forehead and the dove representing the Holy Spirit in the area of the fontanel bone. This is to name a few. May be you will also see something else. KABUL : An archaeologist has discovered the remains of an ancient 19-metre-long ”reclining Buddha” in the central Afghanistan town Bamiyan, a government official said yesterday. A team led by Afghan archaeologist Zameryalai Tarzi had been searching for a fabled reclining statue measuring 300 metres when they made the discovery, information and culture ministry adviser Mohammad Zia Afshar said. 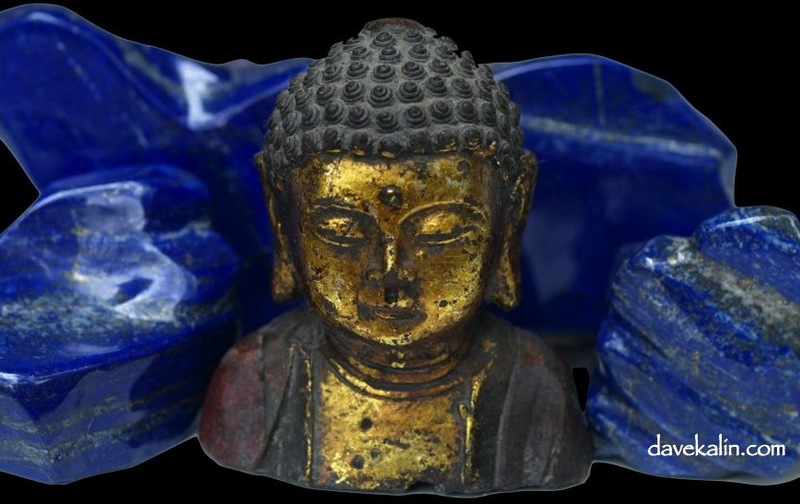 ”The team found a 19-metre-long reclining Buddha statue and 89 other relics. Among them were three coins from Greek, Bactrian and Islamic eras,” he said. A book written by a Chinese pilgrim who visited Afghanistan centuries ago suggested there existed a 300-metre-long Buddha in a sleeping posture in Bamiyan, once a Buddhism centre. 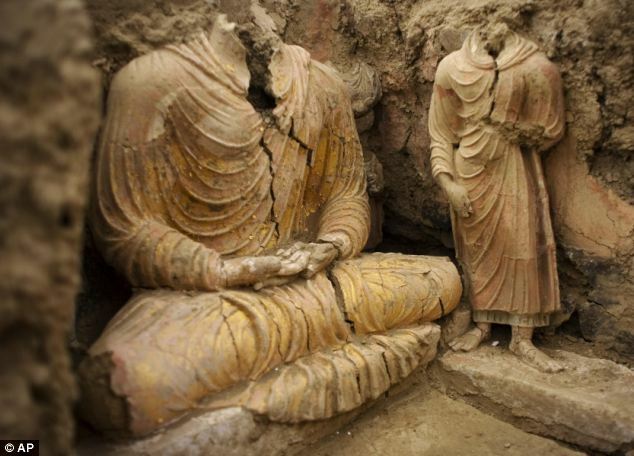 Archaeologists renewed their search for it after the collapse of the Taliban regime in late 2001, which bombed and destroyed two giant standing Buddha statues that were believed to be around 1,600 years old. Although it reflects poorly on the speaker, it is not uncommon to hear the comment, “all of these temples look the same to me.” The best way to remedy this easy boredom with historical and religious monuments is knowledge. Knowing what to look for and how to differentiate between different structures will make for a much more interesting experience. Buddha images were not made during the first few centuries after the life of Lord Buddha. They first appeared during the 1st and 2nd century A.D. in India. 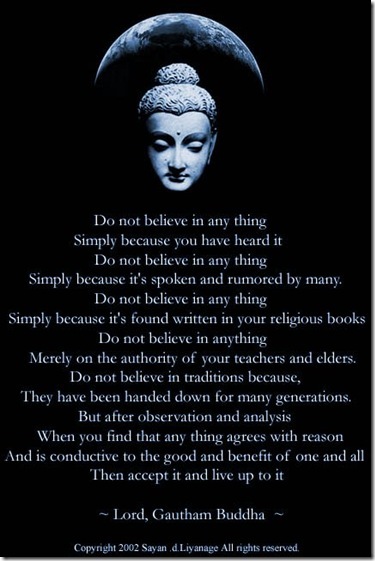 Almost immediately, a set of rules developed on how the Buddha should be depicted. It is worth remembering that a Buddha image is considered to be a hypostatis, endowed with supernatural powers and therefore has to be properly rendered. The Buddha is believed to have 32 major characteristics (and more minor ones). The Buddha is always in one of four postures deemed suitable : Sitting, Standing, Walking or Reclining Postures. 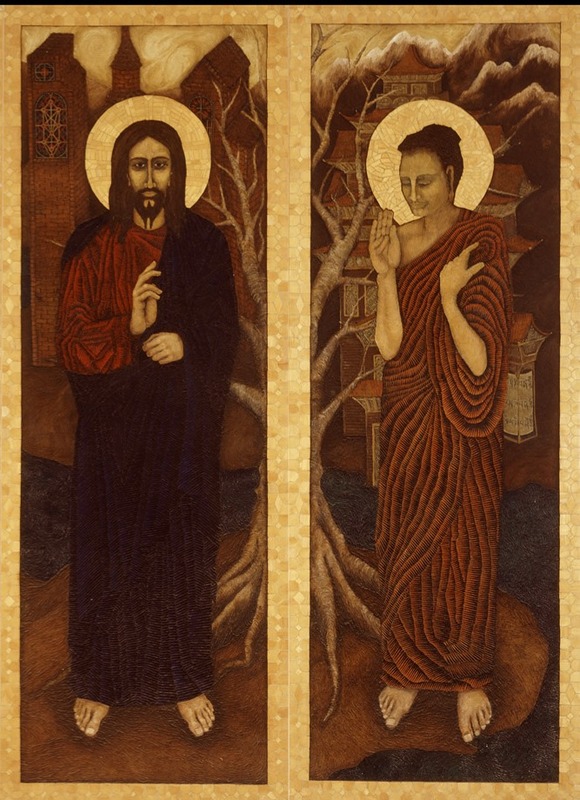 The dress of the Buddha is the monastic robe, draped over both shoulders, or with the right shoulder bare. 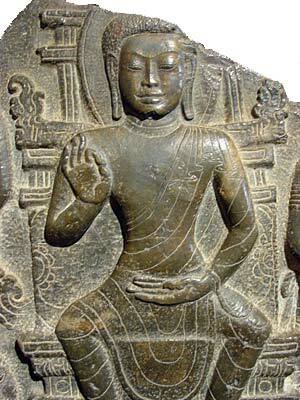 There are six major hand gestures of the Buddha (called mudra in Sanskrit). When I was a kid, I collected stamps. So when I came across this little gem, I had to pick it up. These stamps are from the time before the Soviet invasion. The time of King Zahir Shah. The last King of Afghanistan. They’re a link to a time when Afghanistan was at peace with itself. When it’s peoples were mostly just neighbors to one another. Before bin Laden and Mullah Omar. A time before sucide bombers and taliban and ruined cities and foreign occupations. This was a time when Afghans looked on their Western visitors as merely strange figures on whom they visited warm hospitality. It was a time when visitors were considered guests and were treated as such. ‘The pushtoon code meant something and the mehmet was indeed a welcomed and honoured guest whether they were Muslim, Christian, Hindu, Buddhist or Jew. Westerners weren’t peace keepers. We weren’t soldiers or policemen or civlian contractors for America or ISAF or NATO soldiers. Westerners were merely visitors with strange behaviors. Strangers who seemed to have an even stranger affinity for opium and hashish. Merchants from the West in search of carpets and tapestries, emeralds and rubies and lapis to sell in their homelands. Back then, the hippy trail ran through Iran to Herat and on to Kabul. Lone travelers came and left unmolested. The Mustafa Hotel in Kabul gave some respite and a chance to shake off the dust of the road. It still stands and the occasional brave traveler stops there for a night or two until he moves on into Pakistan, Tibet, Nepal and India. I have read that some of the hippy communities still exist in Goa. I’m sure that there are others. Guys who dropped out of the West and traveled to Asia in search of peace or freedom or a final escape. Afghanistan actually knew peace back in those days. Before the communists came and ruined everything. The King was attempting to make reforms. Give women rights. Construct a constitution. Educate his people and move them into the 20th Century. So this is a “peace” of that time. A memento as the Afghans like to say. A small reminder that Afghanistan was not always as it finds itself now. 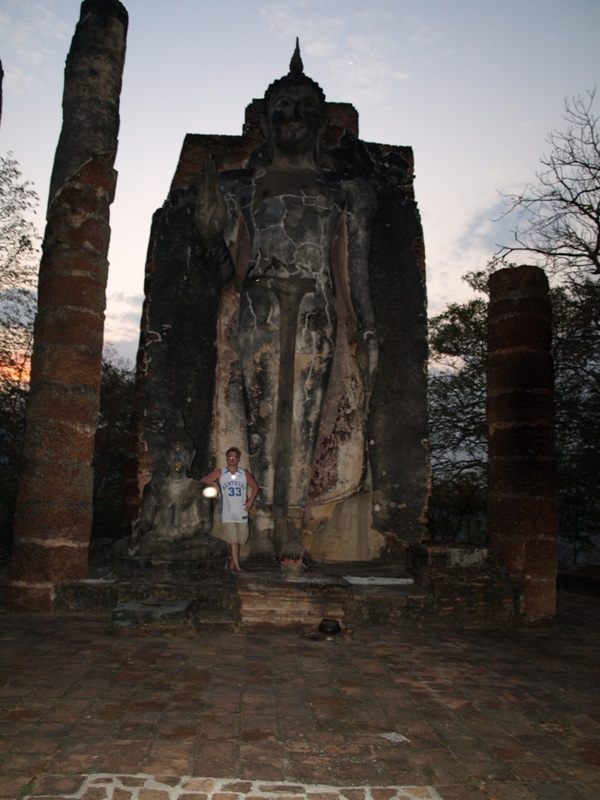 On my last trip to Thailand, my buddy Becca and I visited Sukhothai. It is a city and national historical park about 450 km north of Bangkok. It’s a small slow town that is a bit off the beaten path for most travelers. I had read much about the city and the park and was eager to visit the famous and rather large Buddha at Wat Sri Chum. 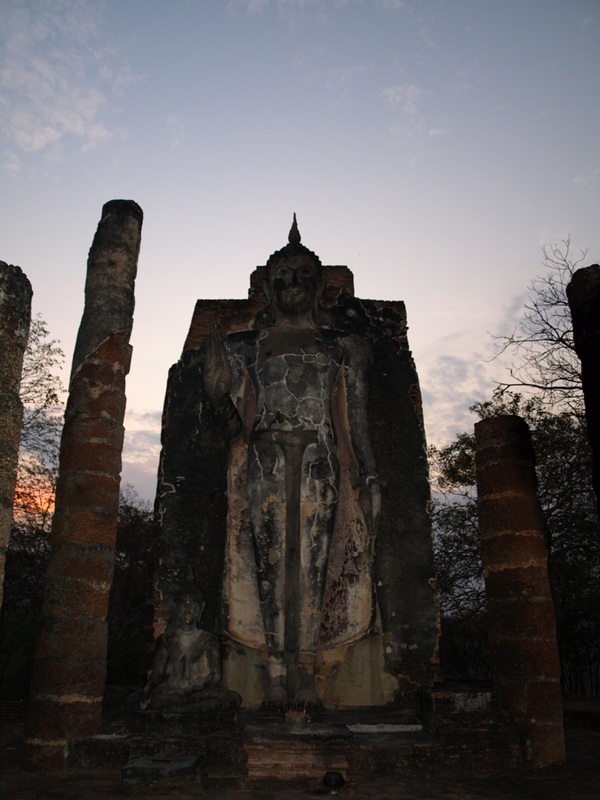 Sukhothai is considered the cradle of Thai civilization. The name means literally “Dawn of Happiness.” The city was founded in 1238 by two Thai princes who seceded from the Khmer Empire. As a kingdom, Sukothai grew to be larger than modern Thailand. It lasted only 120 years before is was co-opted into a new Thai kingdom. Sukhothai is now the provincial seat for the northern province which bears it’s name. The city itself is divided into old and new Sukhothai. Old Sukhothai is a large historical park with ruins dating back to the original kingdom. The ruins have heavy Khmer influences. 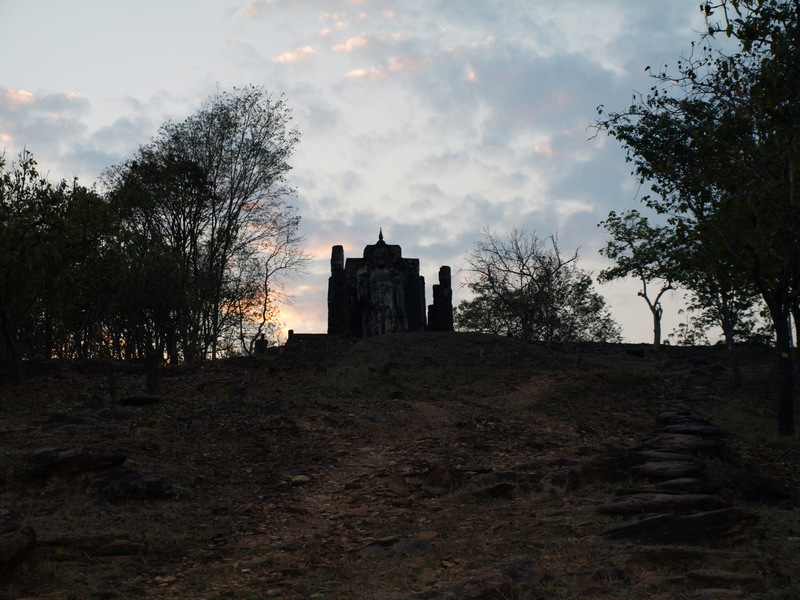 At times, the ruins have an Angkorean feel to them and there is actually one temple that is attributed to Jayavarman VII. 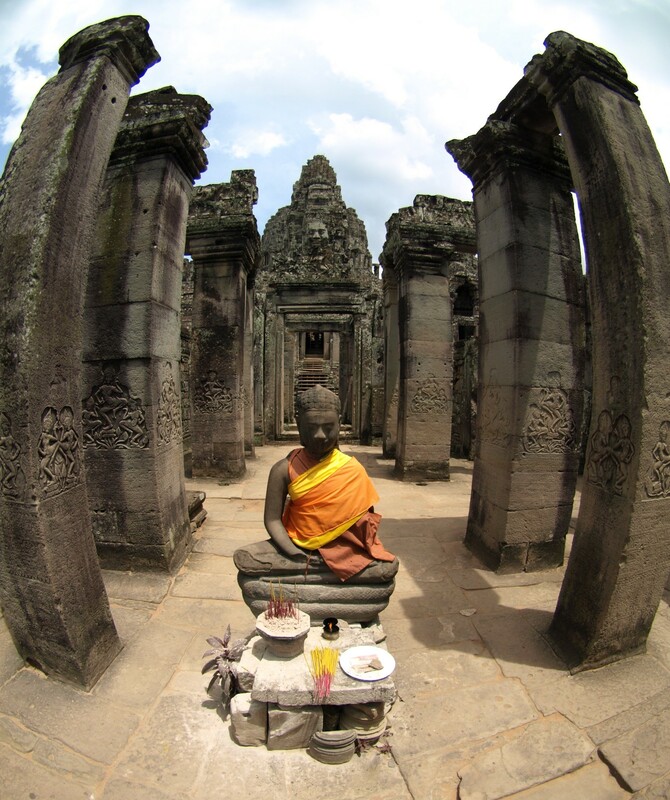 Jayavarman VII is the builder of Bayon and several of the Angkor Temples. He is the famous Buddha King of Cambodia. There are hundreds of ancient buildings and Wats or Temples in old Sukhothai. Hundreds of statues of Buddha throughout the park. Wat Saphan Hin is one such Wat. It is located about 7 miles outside of the old city on a hill top. The Wat houses a Buddha which is some 40 feet tall. I was very much looking forward to trekking out to this particular Wat even though it was so far out. Everyone to whom I spoke and all the I read prior to visiting Sukhothai recommended renting bikes as the best way to tour the old city. Traffic is light in Sukhothai. The people are friendly. Sukhothai is not large as far as cities go but the ruins and temples are spread out. Too far to walk and not far enough for a car or Tuk Tuk. Renting bikes was an excellent recommendation. Becca and I rented bikes from our hotel. Mapped out our sight seeing trail. Then started out to see the magnificence that are the nearly 1000 year old ruins of Sukhothai. We spent most of the morning tooling around the ruins in the main part of the park. The noon sun came up and started to beat down on us. So we decided it was time to get some shade and a cold one. Grab a bite to eat and plan the rest of the afternoon. We stopped at a local restaurant and ate. I drank a couple of beers. Had a whiskey or two with our waitresses. One of whom was cute as a button. So I snapped a couple of pictures of her. We rested a bit. Then decided to head back to the hotel for a mid-afternoon nap. The 85-90 degree sun had drained us a bit and I was a bit sun burnt from being out all morning. After resting for a couple of hours, we realized that we had missed Wat Saphan Hin. No way i was going to miss that. We decided to go back out and find the hilltop Wat and it’s massive Buddha statue. It was nearing 4 PM. The park closed at dusk. We figured sun down was a good three hours away. Plenty of time. We stopped near the entrance to the park to view the foot print of Buddha that we had missed earlier. Then we headed out to find our Wat. We biked out on the main road that should have taken us about half way to Wat Saphan Hin. When we came to the walls of the old city, I was comfortable enough that I knew where I was heading. We exited the old city. Turned down a road which ran parallel to the northern wall. About two hundreds meters up that road, we found our turn off. This road took us about half a mile into what looked to be a farm neighborhood. Lots of barns and cows and such. I had a map of the park with us. Even so, somewhere along the way, I must have confused a road or two as they weren’t marked with any kind of real signs that I could discern. We pedaled for about 10 minutes up the country lane. It was time to ask direction. I saw a friendly looking Thai fellow. So I pulled out my map and asked for directions to Wat Saphan Hin. We were on fairly familiar ground as I remembered passing near to this location earlier in the day. We were near Wat Sri Chum and the huge seated Buddha. After a series of failed attempts at Thai, unintelligible grunts on both of our parts and several directional gestures based on the map and our location, our Thai friend sent us off in the general direction of Wat Saphan Hin. We pedaled back to the main road and turned right towards our destination. I thought that it would be a few hundred meters down the road. Oh no! It took another half hour to get to the road that would take us to our Temple. By the time we hit that road, the sun was fading off into the distance. The road to the Wat was closed and barred. But we bravely stayed on course. I wanted to see my Wat on the Hill. I’d be damned if a mere unmanned barrier was going to keep me from my destination. It was another 10 minutes or so down that road when we finally reached the Temple. We made it. Barely enough light to snap photos. But we were able to get some great sunset pics and then night photos of the Temple. It was a beautiful site. It was also exhausting walking up the steep, rocky hill to the Wat. Especially after a long day of pedaling around and climbing on and exploring all of the ruins in the old city. Well worth the climb, though. We took our pictures. We rested a bit. And then realized that it was pretty damn dark and we were far outside of the city. It’s been a long time since I’ve been out in a forest at dark. I had forgotten the bugs. The bats. All of the flying insects that would be on the road. Becca and I started back. It was still a bit light out. So it wasn’t bad at first. As we got to the main road, it started to get dark pretty fast. Absolutely no street lights in the old city or in the area we are biking. Another thing that I didn’t take into account. Although, LonelyPlanet.com did warn me of this. Obviously, I forgot the warning. I start cruising down the road as fast as I can pedal. I start getting pelted by bugs. Large flying insects popping me in the forehead. Small bugs flying into my eyes and nose. Any time I open my mouth to yell back at Becca, I swallow a pound of nats, flys and mosquitos. I start laughing because I hear Becca scream once or twice. I think I was buzzed at least once by a bat. I saw something swoop down and nearly hit me on the head. At one point, I’m fairly certain a small bird landed in my hair and attempted to make a nest. We rocketed through this thick mass of nasty bugs for a good 30 minutes before it subsided as we came to the edge of the old city. I had dead bugs on my glasses. There were bugs in my hair. Bugs stained my shirt. Bugs crawling out of my nose and ears. I couldn’t help but laugh. So we rested there for a second as we picked small bugs and bird feathers out of our teeth and hair. We stopped at the edge of the park for a bit. Then proceeded on to the restaurant at which we had eaten earlier. We sat and ate a bit. Drank a few beers and then returned to our hotel. I had every intention of getting out and experiencing the Sukhothai nightlife. But, apparently, the day was too much. Our adventure too great. I decided to take a quick nap and didn’t re-awaken until after midnight. This is the ubiquitous Vietnamese Schoolgirl. 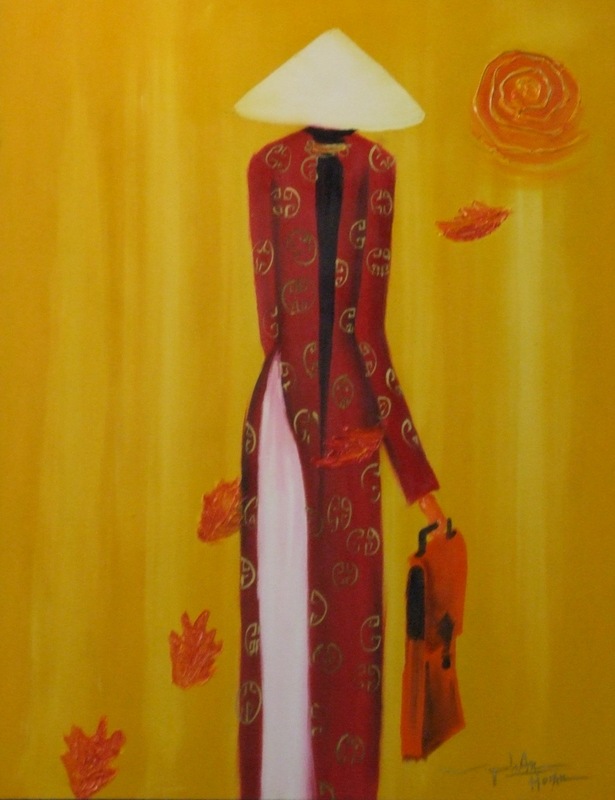 Every city in Vietnam from Chau Doc to Saigon to Da Nang to Hanoi, they wear these Ao Dai and can be seen coming and going to University. There is something exotic about these girls in these long dresses. They cover them from neck to ankle and they are so waif like. It’s pure feminine. Hard to forget. And the little girls going to and from school are adorable as well. Buddhists will chant this three times while bowing three times when they enter a Buddhist Temple. It’s not so much worshipping of the Buddha as it is paying homage to him for passing on the way. The Middle Path. The path to Nirvana. The escape from the cycle of suffering. 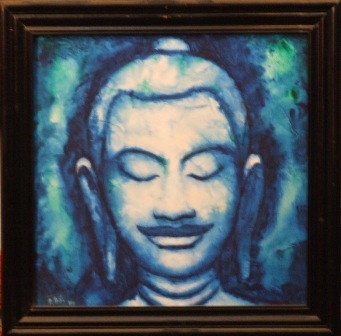 I had been looking for a painting of Buddha for a year. Something that struck me as true. I think that I’ve been too heavily influenced by my time in Cambodia. This Buddha has a strong Khmer influence. The ears. The hair. It even has a strong resemblence to Jayavarman VII who is known as the Buddhist King. This painting is the origin of the tattoo on my left shoulder. 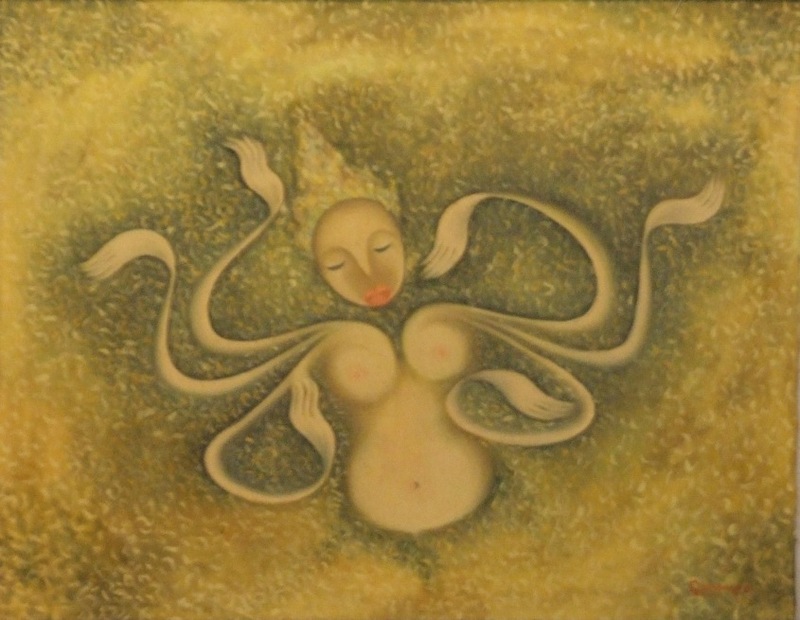 This painting is the Cham interpretation of the Apsara. It has a cosmic feel about it. I couldn’t take my eyes off of it. It was as if she were floating above in Mount Meru watching us as we mortals toiled away our days on this earth. This painting is totally taboo in Buddhist culture. A female is not supposed to touch the Buddha nor should a female touch a Monk. Yet, the portrayal of the act in this painting speaks to me of a devotion and a love so deep as to make defiance of tradition and custom not only possible but eminently obligatory. The first three paintings I purchased in Hoi An, Vietnam. Hoi An is one of the oldest port cities in all of Asia. Marco Polo and Genghis Khan both visited this city. European, Chinese, Japanese merchants all traded their wares at this port. Travelers from all over Asia, Europe and the Middle East stopped over on their way to the markets of the world. 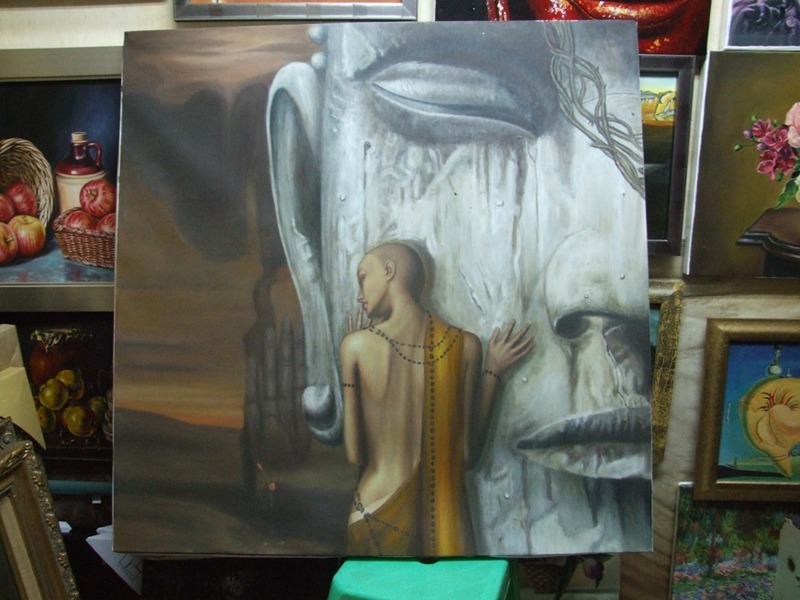 I picked up the fourth painting in Saigon in the backpacker district around Pham Ngu Lao area. This area has many of these art shops. The artists here will paint anything for you. All you need do is give them a picture. They’re quite talented young people.